The second card for my Mom. For the offspring to sign. 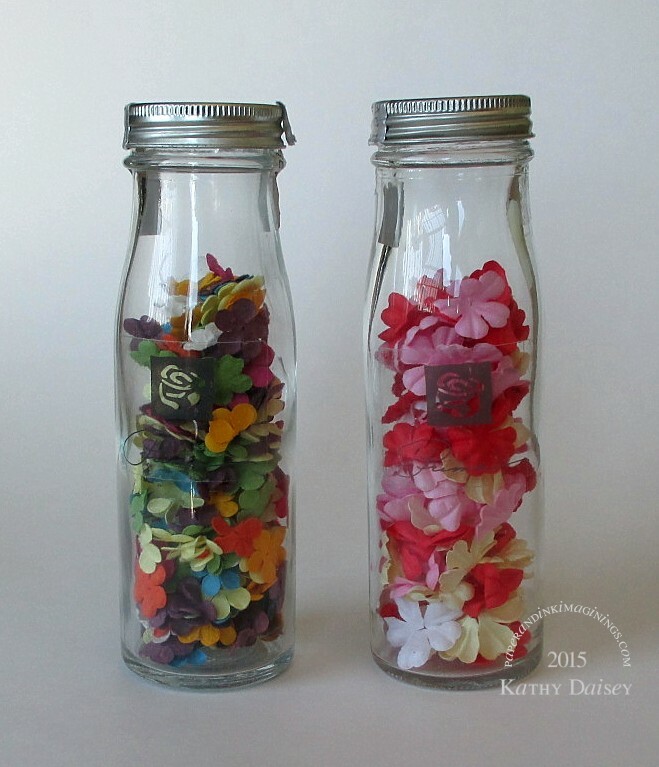 Does anyone else still have their Prima flower milk bottles? I bought the ones on the right in March, 2006, the ones on the left in November, 2006. At our local Recollections (long since closed). Geez, have I really had them that long? Supplies: Stamp – Papertrey Ink, paper – Neenah Classic Crest Solar White, Stampin’ Up! Real Red, Tangerine Tango, inks – Tim Holtz/Ranger Distress Ink Mowed Lawn, VersaFine Onyx Black, die – Papertrey Ink, stencil – Heidi Swapp, flowers – Prima, sequins – Pretty Pink Posh, jewels – A Muse Twinkle Stickers, enamel dots – Stampin’ Up!, embossing powder – Filigree Fine Art Powder, gold cord – PaperMart. 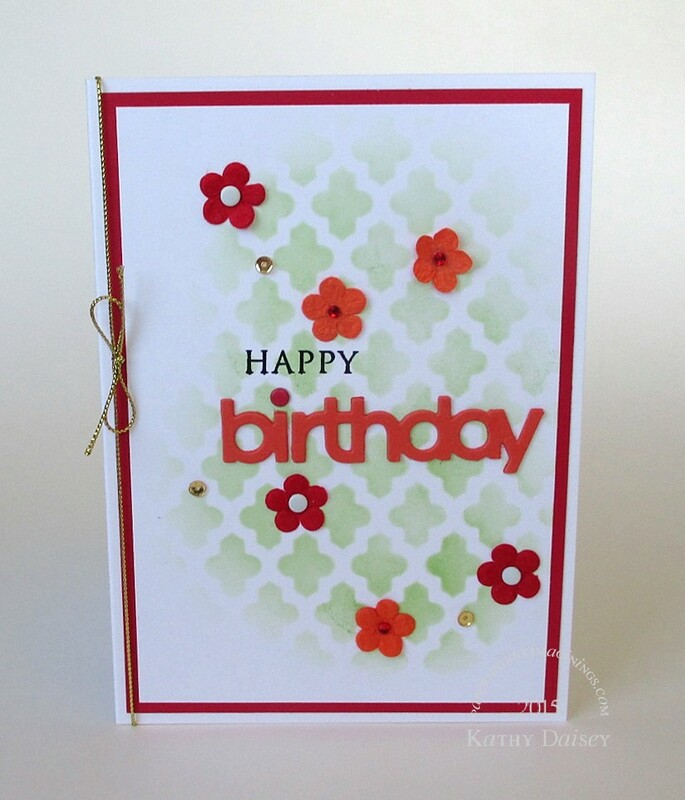 Categories: birthday, card | Tags: A Muse Artstamps, card, Heidi Swapp, Neenah, Papertrey Ink, Pretty Pink Posh, Prima, Ranger, Stampin' Up!, Tim Holtz | Permalink. I love the cool green stenciling. The color combination really pops.